For a classic modern Italian dining experience head to Pizza Express. Enjoy a relaxing and sociable meal from the extensive menu in this simplistic and stylish restaurant. I remember when i first tried Pizza Express years ago and the food was irresistable now it seems different than previously. Pizza Express Harbourne; it serves good pizza, quickly, on Harbourne High Street. Harbourne High Street, at the centre of one of Birmingham’s livelier suburbs, is lined with pubs, bars and restaurants that attract locals and people from surrounding suburbs. So Pizza Express has plenty of passing trade but also plenty of decent competition. It is usually full, which is a sign that it delivers what people want. Behind the sleek, modern frontage there are almost two restaurants. The front is full of small tables, positioned close together, with a real buzz and a good view of dough tossing pizziaolos. If you go through to the back, it opens out into an airy conservatory with space for larger groups of families and friends, and there’s a garden beyond this space. They have tried hard to make a distinctive space, and it works. You can book if you plan ahead but they usually seem to have a good number of tables for walk ins. People watching is good sport here. Plenty of couples; ranging from people who come here for a night out to those who pop out for a pizza at the end of a hard day at the office. Harbournite families feature as well, with baby changing facilities a definite selling point. It also attracts groups, with a high percentage of women, and more than a few birthday parties. The service is quick and polite, but you may have been to other branches of Pizza Express where they manage more personal warmth. The food is good. Not great, but good. The pizzas, especially the thinner based Romana offerings, will certainly be recognised by Neapolitans and the toppings range from familiar classics to some that are new and creative – like top chef Theo Randall’s Favorita (£9.85) and Gamberettini (£10.95) - but even these remain true to the spirit of traditional pizza. The Etna (£9.65) is a seriously spicy option loaded with crumbly sausage, red-hot peppers and chilli heat that may be too intense for some. Alternatively, the simple Margherita (£5.90) shows off the quality of the fresh made bases. The choice of starters and sides is limited but reliable. There are good, fresh salads, including the ubiquitous chicken Caesar (£8.45) and Nicoise (£8.45) with dressings served separately. Perhaps the least successful options are the pasta dishes. The obvious options, lasagne, cannelloni etc, come with flabby pasta and uninspired fillings. There’s plenty of scope for experimenting and improvement here. 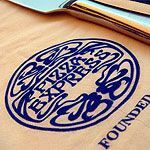 Innovations, like lower calorie starters, calorie controlled pizzas, and a kids menu that is designed to cater for kids without dumbing down, show Pizza Express is working hard to deliver in response to customer demand. The wine list offers some interesting Italian wines, particularly from Scilly and the Veneto region. Italian producers seem to have embraced the changing tastes in wine and there are plenty of very drinkable, reasonably priced wines on offer from as little as £3.65 a glass and £12.95 a bottle. A decent selection of bottled beer (Peroni, naturally), spirits and soft drinks are also available. Pizza Express tries hard to please everyone – which is not easy – and, by and large, it succeeds. The pizzas are the best you will get on the High Street and this Harbourne restaurant is an attractive setting for such reliable food and drink.